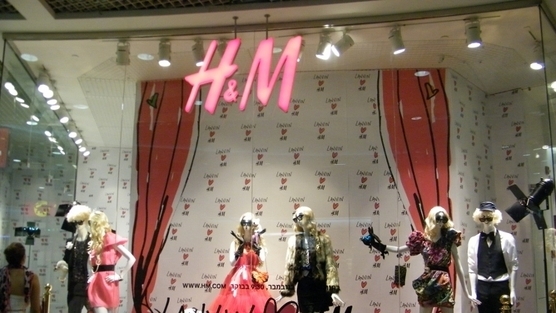 H&M: Use Plus Size Mannequins In Stores! When I interviewed Jennie Runk over the summer about her phenomenol campaign with H&M, I was lit up with excitement about the future of plus-size representation in the modelling industry. Here at SPARK we’re not only dismayed but horrified by the body-shaming girls face everyday, and it’s our mission to try and encouraged positive body imagery for everyone. That’s why the H&M campaign is so important to us – because it’s important for everyone, everywhere, of every shape and size. This campaign is dedicated to asking H&M to use plus-size mannequins in their stores to model their plus-size range. Anya, Montgomery and I are determined that one day girls will not feel ashamed of their bodies but proud of them, no matter how they look, and this action is part of that. Every human deserves to feel valued. For a plus-size girl to walk into such a famous, well-loved brand as H&M and feel like her body is not only represented but appreciated, it would be a small step to encouraging the confidence that is so often plagued by appearance-related shame and loathing. Montgomery, Anya and I all care about the campaign for that very reason, but we also have personal feelings about it too. The three of us are so very different physically and yet we all belong to the same team of friends, inspiration and supporters. For me, having an eating disorder was the hardest challenge I’ve ever had to face in my life. I still struggle with self-esteem, still have to remind myself everyday that I am awesome and the way I look does not rule me. Knowing that H&M could be part of a bigger mission, helping girls’ be proud of the way they look, would be a great comfort – I worry everyday about girls who have to tackle an eating disorder as I once did. It’s time to SPARK change, and we need your help. First, sign our petition – a signature goes a long way! Remember to share it on your social media. Secondly, take direct action by performing the frozen mannequin challenge. It’s easy! Fellow SPARK activist Erin explains the steps here: just make a poster or sign explaining in a sentence or two why you support the campaign, go to your nearest H&M and take a picture posing like a mannequin. Caption it with the hashtag #HandMmannequins and share to Twitter, Instagram, Facebook etc. Bring your friends along, too, and have a party! Extra bonus if you can dress up in the same clothes the mannequin is wearing and show how awesome they look on different kinds of bodies. Good luck and get SPARKing!